Technology and real estate are not words that traditionally occupy the same sentence, but Jamestown has managed to make this happen at the Innovation and Design building in the Boston Seaport. More information on the Boston Innovation and Design building is available on its website. 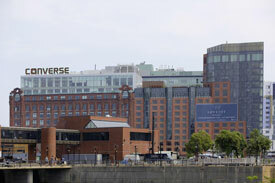 The Seaport continues to evolve and welcome new businesses. L.L. 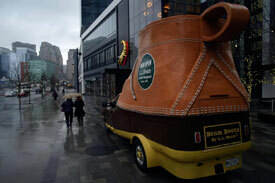 Bean opened April 5th at One Seaport. The 8,600-square-foot store at One Seaport (60 Seaport Blvd.) — the company’s fifth in Massachusetts and 35th outside Maine — is a fraction of the size of its almost 300,000-square-foot flagship store in Freeport, a destination many Bostonians have made pilgrimages to for years…To accommodate the new store’s size constraints, the company had to carefully select its merchandise. Selections at the Seaport location will include town-to-trail apparel for adults and children, and equipment ranging from full-sized kayaks to light, packable gear like inflatable paddleboards suitable for small apartments, said spokesman Eric C. Smith. It appears that Boston Harbor will become the connection between North Station and the Seaport via new ferry service. You can read more on Curbed, here. 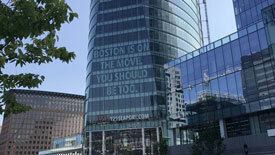 Gone are the days when tenants would start looking for Boston office space one-to-two years in advance. Prospective tenants now find themselves shopping for immediate occupancy, and are only interested in spec suites that have been prebuilt by the landlord to meet today’s connectivity demands. Tech has dominated the ongoing positive cycle in Boston’s office market, and the industry’s reputation as a disruptor has extended into how landlords appeal to potential tenants. While law firms and financial firms are known for making space decisions far in advance, the tech community has compressed the time from site tour to move-in…Their growth is more explosive than a bank or insurance company; thus, they wait until the last minute. As life science firms turned Cambridge into a lab-dominant market, the historically tech-heavy Kendall Square passed its tech reputation across the river into areas like Boston’s Fort Point and Seaport neighborhoods. Traffic in and out of Boston is going to look a little different if Amazon HQ2 comes to town. Boston Harbor could host the seaplane shuttle to New York and other future destinations to help alleviate the added burden. Boston and Somerville were identified together by Amazon last week, though they bid separately on hosting HQ2, which could cost $5 billion and bring 50,000 new jobs. The bids identify numerous perks and benefits for the company, with Boston promising seaplane service if it is selected. Where do venture-backed companies focus when coming to the 617 area code? Unsurprisingly, the list focuses on the city core with areas like the Seaport, Financial District, Back Bay, Kendall Square and some clustered at the 90/95 interchange. While many large, high-tech companies like Facebook, Google, Apple, and Microsoft have their main campuses in suburban areas, cities and urban areas house the majority of venture capital–backed startups. My own research estimates that 55 percent of all venture capital investment now flows to urban neighborhoods. 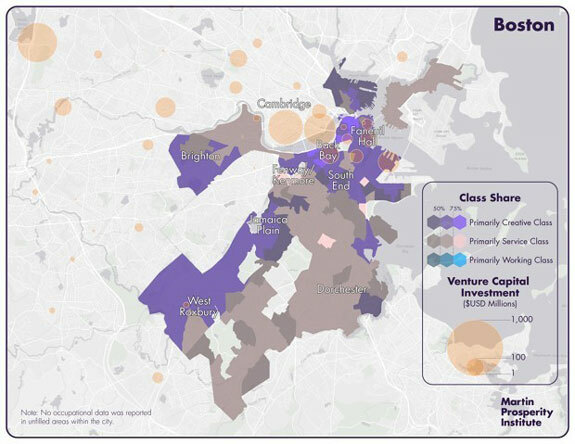 In the Bay Area and Boston–Cambridge, more than 60 percent of venture capital investment gravitates to these neighborhoods. Additional information is available on CityLab’s website. 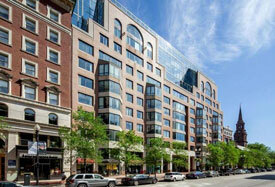 Boston continues to win large corporate tenants from our neighboring states. The full article is available on the Courant. 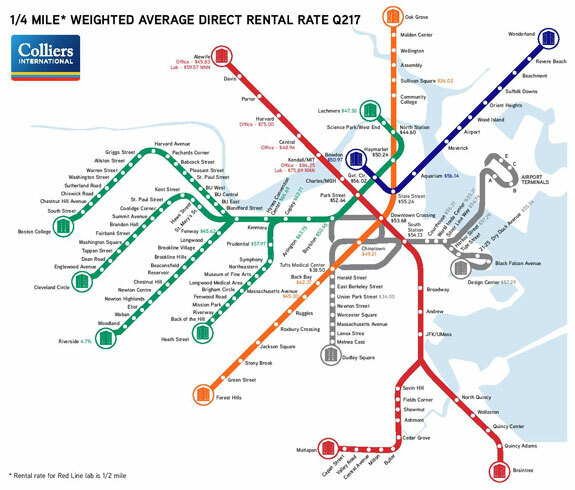 Your office rents in Boston are directly impacted by the distance to the nearest MBTA stop. Simply put, expect to pay more the closer you are. 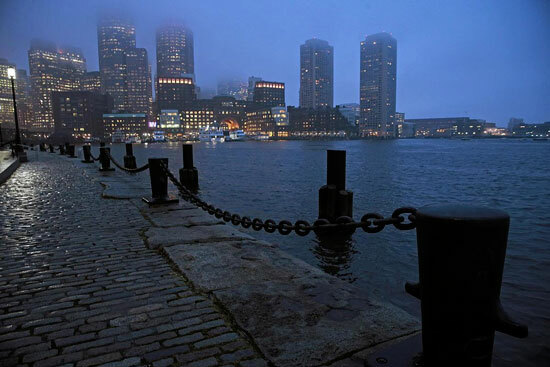 Banker and Tradesman notes, “despite the departure of several large office tenants for the Financial District and Seaport, Back Bay still has Boston’s highest-priced office space. Buildings within a 5-minute walk of Hynes Convention Center station on the Green Line average $66.69 per square foot, partly reflecting the completion of Boston Properties’ 888 Boylston tower anchored by Natixis Global Asset Management. You can read additional analysis on the impact of the MBTA on Boston office prices on B&T. 0	Underwater Garages in Boston? We all agree, finding garage parking in Boston can be a challenge. 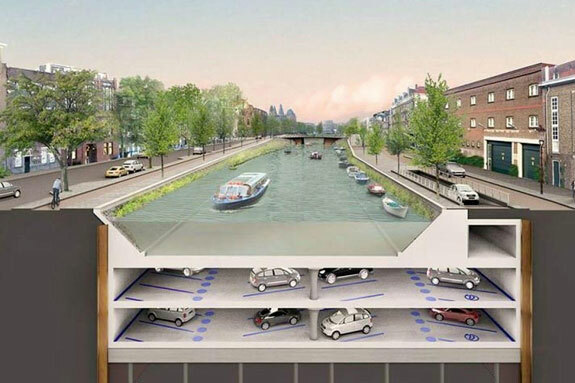 What about parking under the Charles River or under the Fort Point Channel? You can read the full article on the Globe’s website. 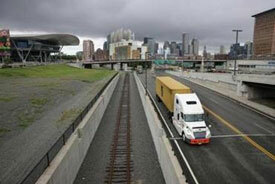 0	Could Track 61 Offer Rail Service throughout the Seaport? Can track 61 save the Seaport from its own success? To be clear, it could help and we could use it. Originally a freight line that was part of the industrial rail yards along the South Boston Waterfront, Track 61 has been unused for many years while around it a new neighborhood of glass-walled offices, luxury condos, and hip restaurants has sprung up. The roughly 1.5-mile spur [that] cuts across the Seaport District from the southwestern edge of South Boston…is coming back to life [to test] new Red Line subway cars that are being built for the Massachusetts Bay Transportation Authority in Springfield. The work will include an electrified third rail along Track 61 to power the Red Line cars, a new shed, and other improvements.